Shuvo Noboborsho is the festival of Bangla New Year. It is the oldest tradition of Bangladeshi culture people as well as the people who speak Bangla all over the world. This day is observed with festive minds. It has an influence on real life and also to different social Media like Facebook, Twitter, blog etc. 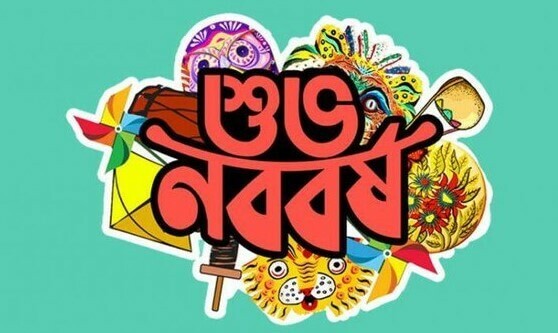 Every Year the date of Bangla New year which is known as Pohela Boishakh is celebrated on April 14, Bangla Noboborsho 2019. Bengali New Year ceremony observed all over the countryside. People arranged different shows at this festival. It is the day to spread Bengali Poem, Bangladesh Cultures and the lost tradition of Bangladesh. Every year in bangla noboborsho people do alpona in the roads and university campus premises. The biggest alpona happens in the manik mia avenew in fornt of the Songsod Vhabon. Last year Banglalink arranged the shuvo noboborsho alpona ceremony there. Students also do alpona from shabagh to Ramna park. Shuvo Bangla Noboborsho Alpona is very attractive and looks pretty. 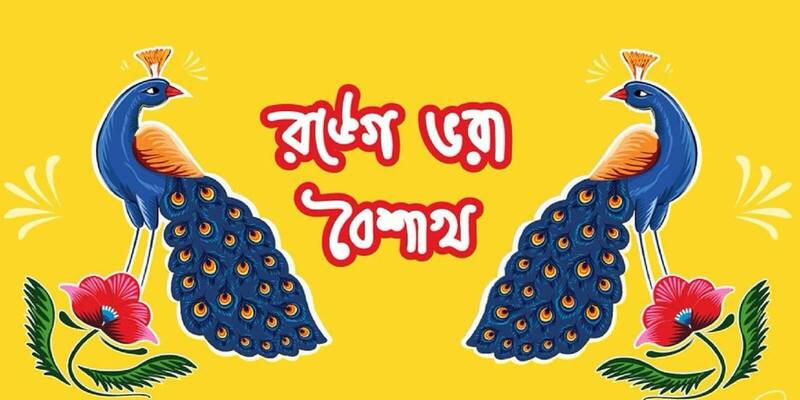 1 la Boishakh is the first date of the bangla new year. The first month of bangla new year is Boishakh. Thats why the first date of Bangla new year is the 1 la boishakh in bangle language. People from all over the bangladesh celebrate the Boishakh with joys. 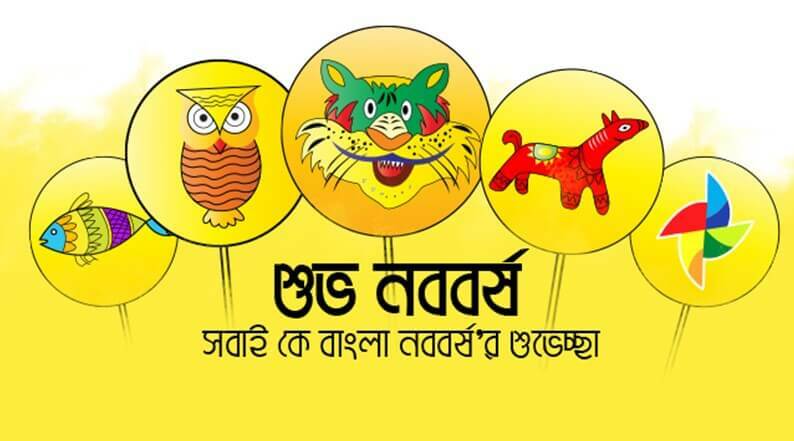 Eso he boishakh is the most used slogan of Pohela Boishakh. This line has come from a grate song on pohela boishakh. The song was written by the grate “Rabindranath Tagore“. The first line of the song is ‘Eso he boishakh eso eso’. It the theme song of pohela boishakh. Shuvo bangla noboborsho is mainly a bangla term to wish someone in the Bangla new year. People of bangle language when meet someone on that day used to say this term to greet themselves. They also use this term to send shuvo noboborsho sms. 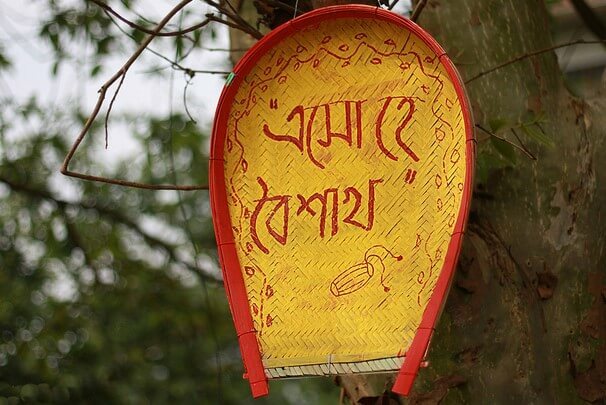 Shuvo noboborsho chora is the bangla folk poems, song and puthi. 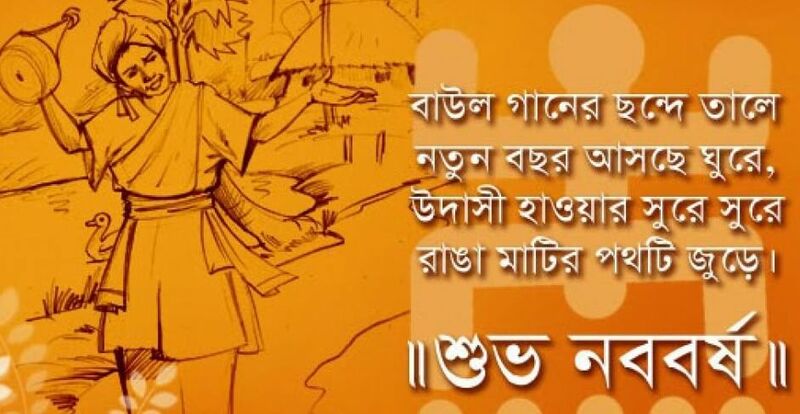 Ancient bangla traditional song and poems get importance on this day. Children also enjoy modern noboborsho chora. Shuvo noborsho sms is the best way to wish someones dearest ones. 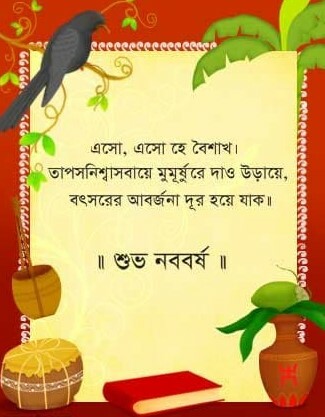 On pohela boishakh they send shuvo noboborsho wishes attach with the beautiful bangla noboborsho quotes. Sometimes different organizations arrange some competition like essay competition, drawing competition and many more. This paragraph will help you to write the best summary on the Pohela Boishakh. Shuvo noboborsho to all my readers. Wish you a very happy and prosperous life. Hope you all enjoyed this article.